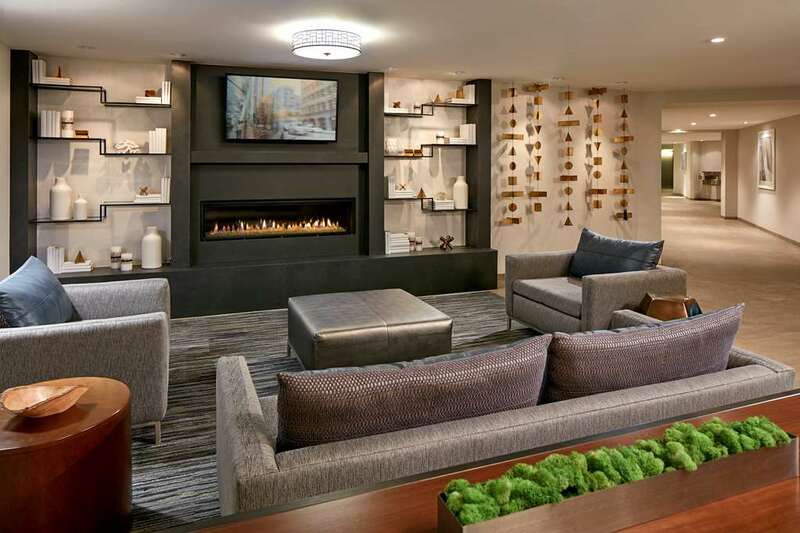 Hilton Garden Inn San Diego Mission Valley/Stadium is completely renovated and better than ever. Fresh off a major redesign we offer 178 stylish new guestrooms including 17 upgraded suites with modern decor and useful amenities designed for a casual and comfortable stay. Located just two and a half miles from Qualcomm Stadium and 20 minutes from San Diego International Airport we*re the perfect San Diego hotel for all types of visitors. Centrally located off the I-15 freeway and near the I-8 we make it easy to explore the area and are just a short drive away from SeaWorld San Diego Zoo Old Town San Diego and the world-famous beaches. Ideal for business travelers military personnel and families on vacation seeking affordable San Diego accommodations. Hotel highlights include a brand new on-site restaurant Verde Kitchen - Bar offering an elevated breakfast buffet Mexican-inspired dishes full bar and in-room dining. All guests will receive free Wi-Fi Internet and complimentary parking. We offer an outdoor heated pool with spa business and fitness center. Our fully renovated guestrooms and suites offer brand new Serta bedding 50* HDTV with premium movie channels and cable and are available with one king or two queen bed options. Upgraded Suites included a separate living area and two 50* HDTVs with premium movie and cable channels. Standard in each room is a microwave mini refrigerator work desk and Keurig coffeemaker with complimentary coffee and tea. Specializing in corporate meetings events and social celebrations like small weddings and quinceaneras we offer 5 000 square feet of brand new flexible meeting space and offer on-site professional catering for up to 300 guests. Our meeting space can be broken into six separate meeting rooms and ballrooms. We can host small board meetings for 10 people up to large meetings for 300 people. Customizable event menus are available and our experienced team can handle all audiovisual needs as well. Verde Kitchen - Bar: Verde Kitchen - Bar offers several Mexican-inspired dishes and is open for breakfast and dinner. Verde Kitchen - Bar*s menu includes items like roasted vegetable quesadillas house-made guacamole chicken tortilla soup jicama citrus salad as well as a full bar.